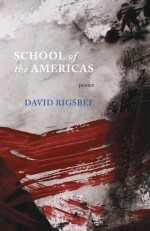 When The Pilot House was chosen for the 2009 Black River Chapbook, the judges wrote, “The poems in this chapbook made us ache; that’s how good they are.” Rigsbee turns in this collection to spare poems that deal with pivots, revealing incidents when a momentary shift in perspective can bring a whole new world into view—or eclipse a once-firmly held memory. Clear and taut, insistent on the beauty of even harrowing events, it is a collection that handles the past in arresting ways, some potentially redemptive, others turning from reclamation’s siren. Poems about figures as varied as philosopher Richard Rorty, artist Nicholas Carone, astronomer Sir Fred Hoyle, and poets William Bronk and Joseph Brodsky, call upon a richly lived writerly life in ways that give the collection purpose and dignity. "David Rigsbee breaks open the factual planes of anecdote--the faits accomplis of events, of names and dates--to re-construe the connections between them. The poet's intellect, moving over the face of psychic depths, makes connections with history, with literature and philosophy, but never forgets the human figures who have engaged his imagination, empathy, and love." "These poems often begin on the fly, as though we are catching the speaker mid-thought, suspended in the moments of brief narrative. Their meditative quality, oblique and understated, can carry a lot of emotional weight. Check out “Theology,” check out “Holbein.” Rigsbee’s voice is quiet and sure."